It seems like Manny’s last three fights have been fights which we really didn’t know what was going to happen. Many chose Oscar to beat him and even though most of the experts picked Manny to win, no one expected him to destroy Hatton the way he did. But with all that’s going on in training camp, I’m fidning it increasingly difficult picking the Pacman. 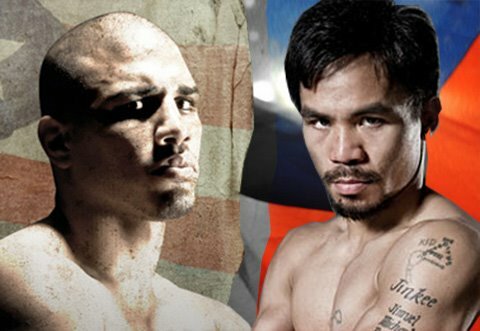 At first, my initial thought was that Pacquiao would be able to outbox the heavy handed Cotto with speed and angles. That still may be the case and I am not one who takes everything out of HBO’s 24/7, but one cannot help but see the problems in Pacquiao’s camp. It’s not only about the storm or the Philippines, but Manny’s focus that seems to be the problem. The singing, the public appearances and the sparring has shown that Manny’s head is not fully into the fight… yet. His main sparring partners are Shawn Porter an untested young American prospect, and Jose Luis Castillo a faded great fighter. Pacquiao was noticeably sluggish in his sparring sessions but it would be foolish to write off Pacquiao entirely. Distractions have always been a part of Pacquiao the past few years and each time he has rose to the challenge. I will stick with my original pick with Pacquiao by decision. I expect Cotto to have his moments but perhaps fade a bit down the stretch especially with the two extra pounds he will have to lose. Pacquiao knows though that this is the toughest hardest hitting puncher he has ever faced and most would agree that it would only take one Cotto shot to knock Pacquiao out. It will be a clash of styles and most likely a serious candidate for fight of the year. I for one can’t wait.